For optimal spinal health, SC residents know to trust the doctors at the Southeastern Spine Institute in Mount Pleasant. While you can take great care of your spine by exercising, eating right and seeking treatment for issues as they arise, there’s no stopping Grandfather Time. He’s eventually going to come for a visit, so be prepared. Aging is a gradual process that seems to sneak up on you. People certainly age differently depending on their levels of activity, diet, general health and attitude. Certain things, such as spinal deterioration, are just nature’s way of slowing you down. After all, your spine has been holding you erect and serving as your nerve center for more than half a century — it’s bound to get tired. Besides spinal health, SC doctors can tell you that other parts of the body age as well. Some changes are normal and expected; others are more preventable. Your eyesight, for example, weakens no matter what you do if you live long enough. The lens thickens, causing you problems, especially when reading. Also, you become more forgetful and have difficulty learning new subjects as you age. It’s natural. In addition, your bones shrink as you age, which leads to easier breaks and greater imbalance, but exercise and diet can alleviate drastic aging consequences. Finally, your skin loses collagen over the years, although your lifestyle plays a huge role in how far it goes. Exposing your skin to the sun and continuing to smoke will lead to unnatural and quicker aging. 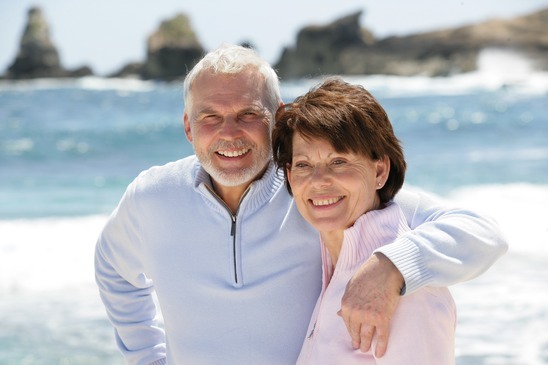 While heredity plays a big part in how well you age, there are a few steps you can take to minimize the effects of aging, especially when it comes to your spinal health, SC. In addition to sufficient calcium and a regular weight-bearing exercise routine, you should always lift, stand, sit, reach and bend correctly. Take a little extra time if you need it; despite getting older, there’s no need to rush. To protect your spinal health, SC retirees will be better served by taking steps to slow the aging process while accepting the changes you can’t do anything about.